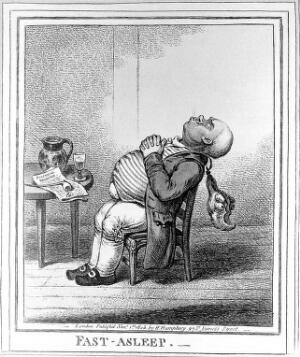 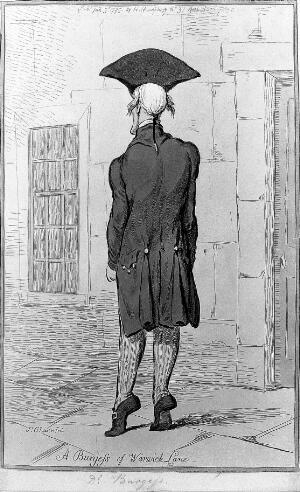 A man fast asleep with his head back and wig dangling. 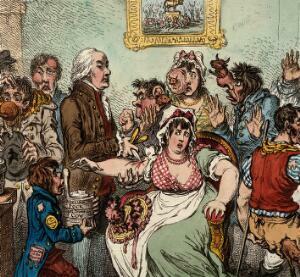 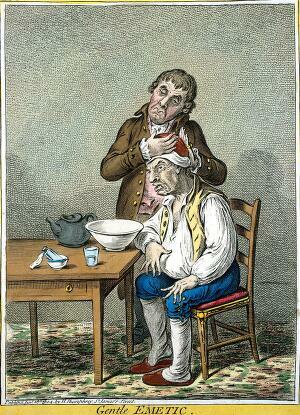 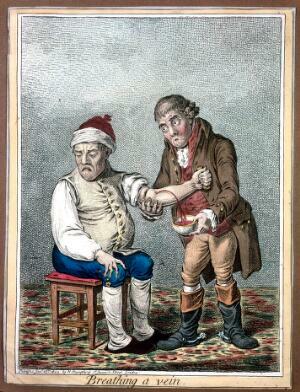 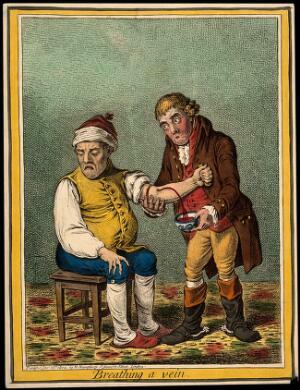 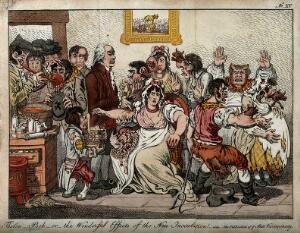 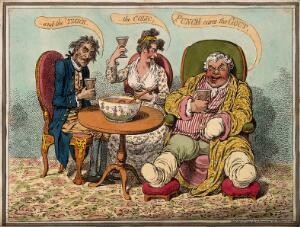 Coloured etching by J. Gillray, 1806. 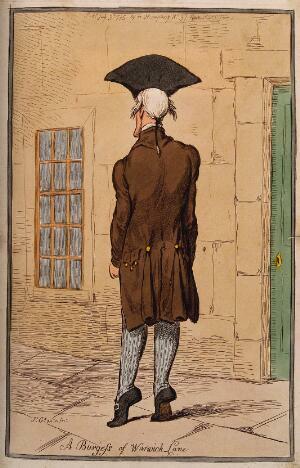 Dr. John Burges, on tiptoe outside a building in Warwick Lane. 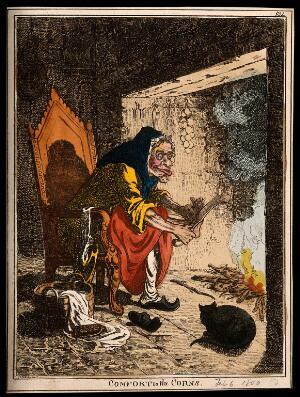 Coloured etching by J. Gillray, 1795. 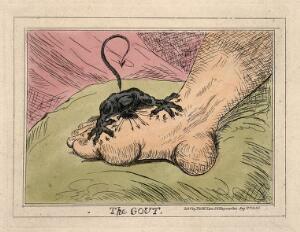 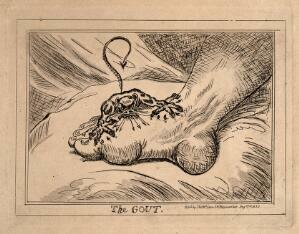 A swollen and inflamed foot: gout is represented by an attacking demon. 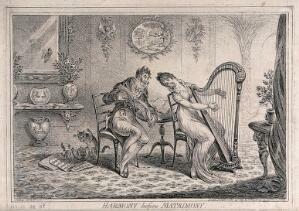 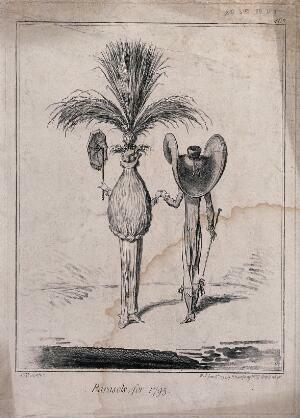 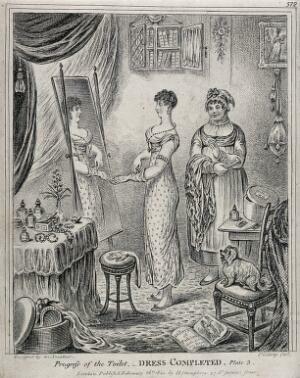 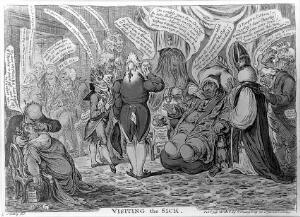 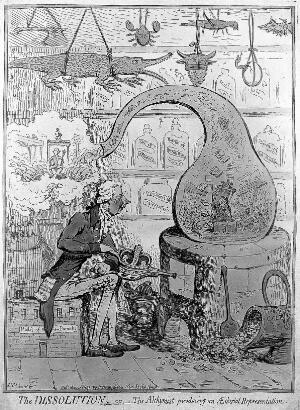 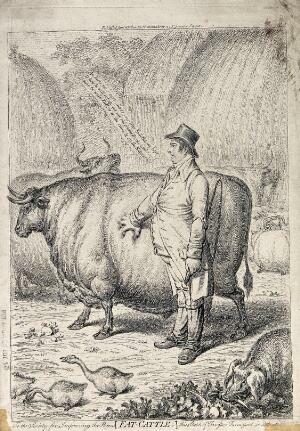 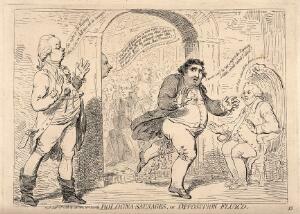 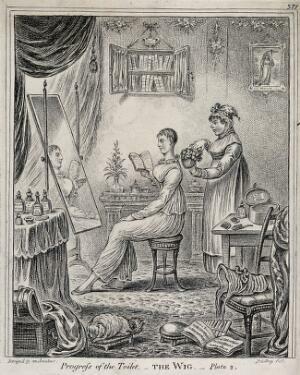 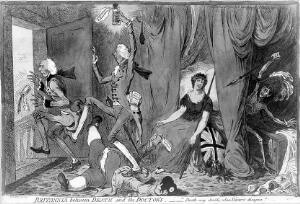 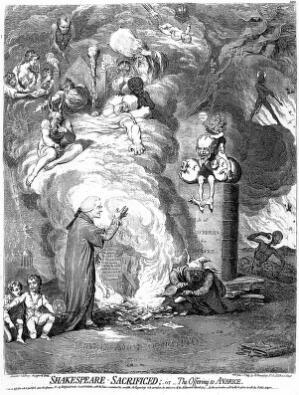 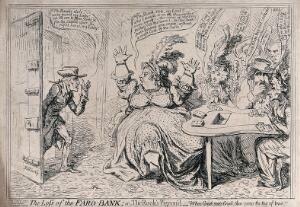 Etching, 1835, after J. Gillray, 1799. 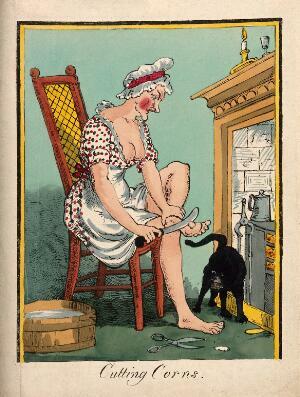 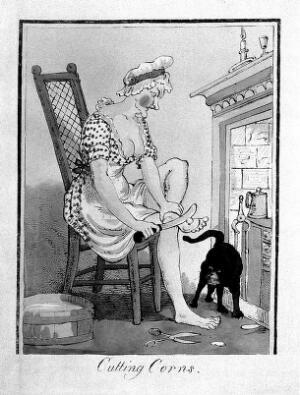 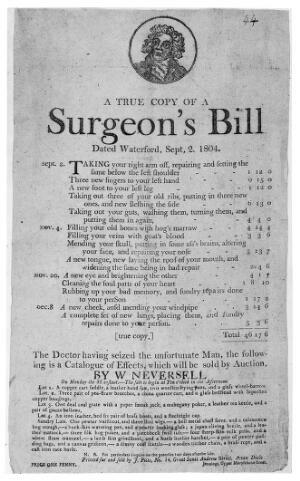 A woman taking a large knife and scissors to the corns on her feet. 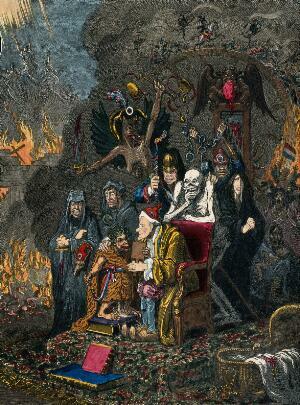 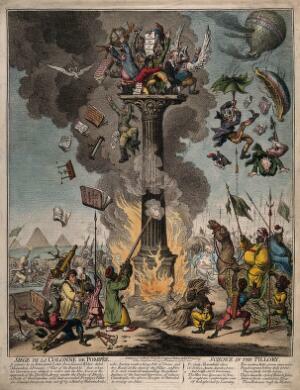 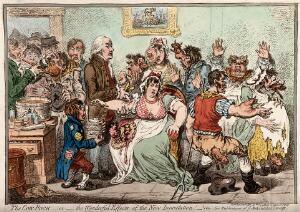 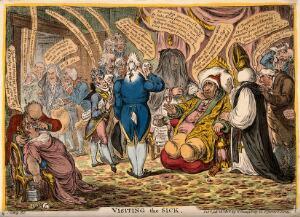 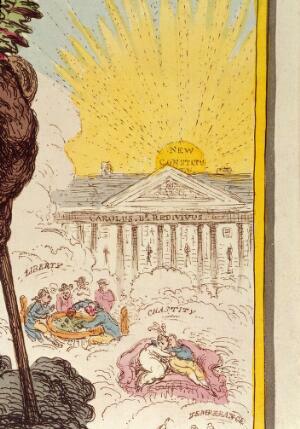 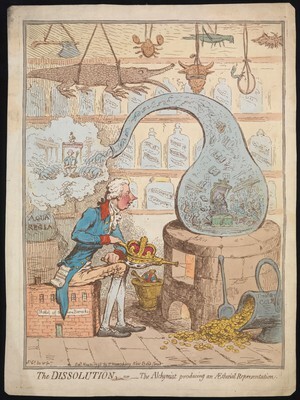 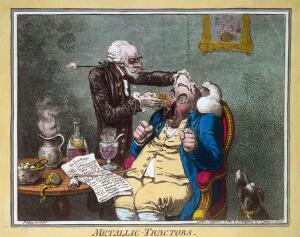 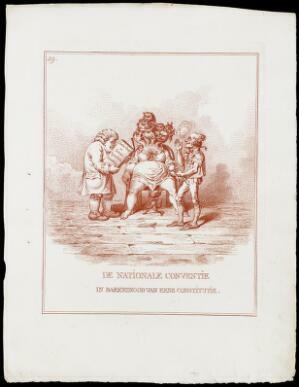 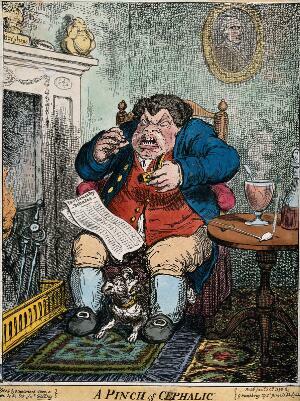 Coloured lithograph after J. Gillray. 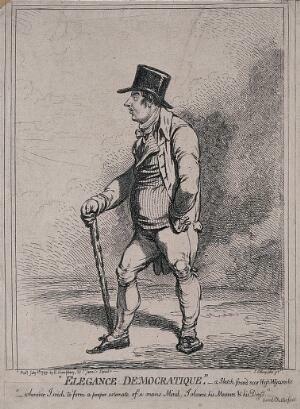 A man is wearing a waistcoat, breeches amd a top hat, he is also carrying a stout cane in his hand. 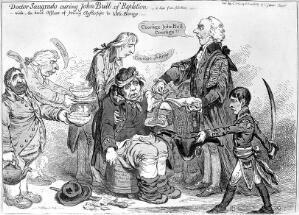 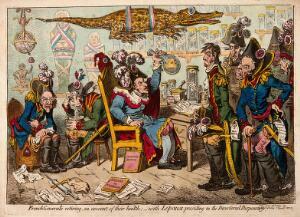 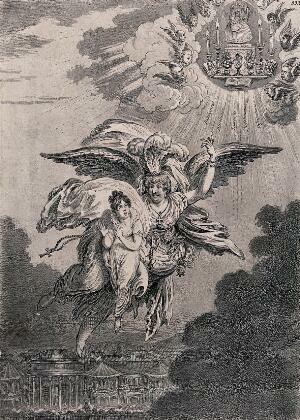 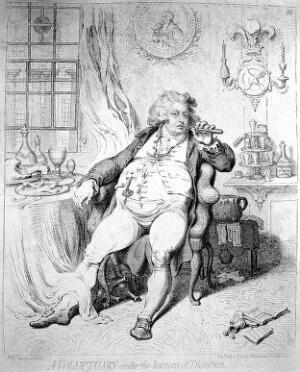 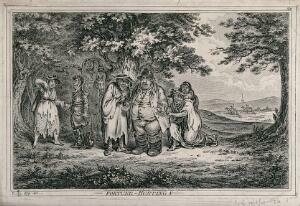 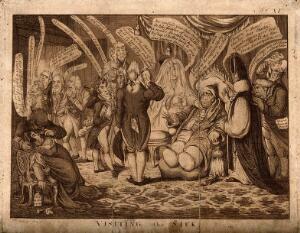 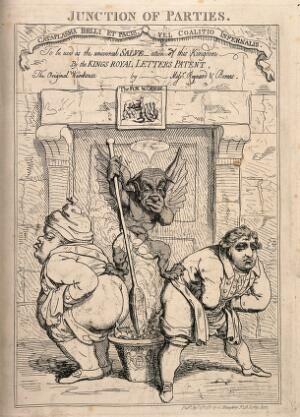 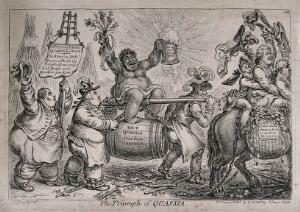 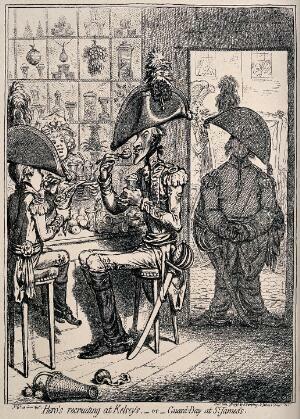 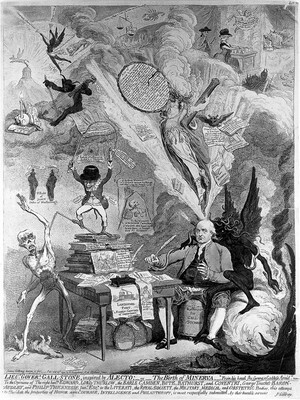 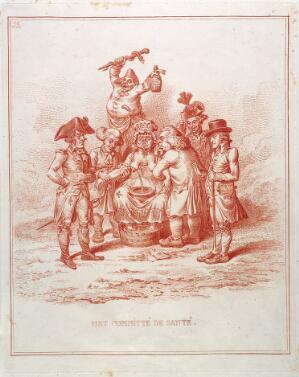 Etching by James Gillray. 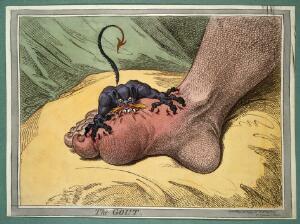 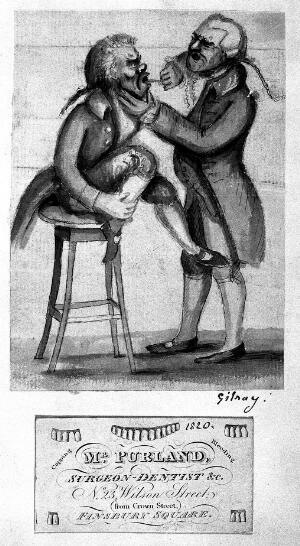 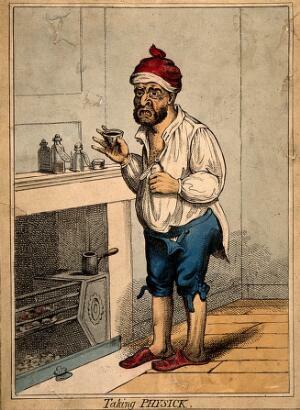 A swollen and inflamed foot: gout is represented as an attacking demon. 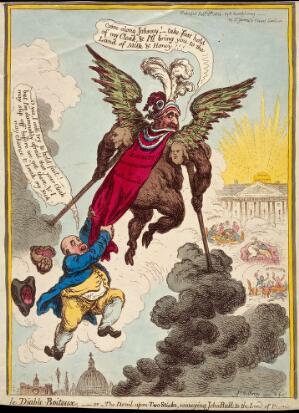 Coloured etching, 1835, after J. Gillray, 1799. 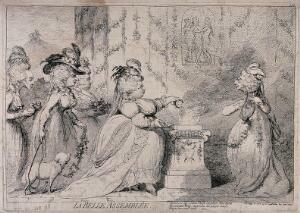 Five elderly ladies caricatured as young women performing a sacrifice in a classical tableau. 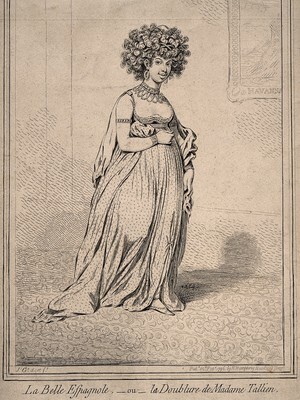 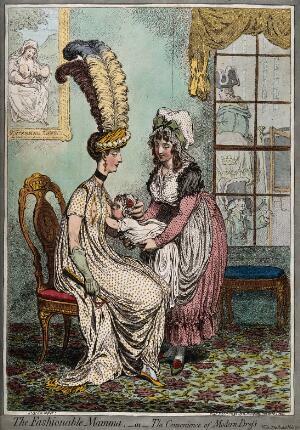 Etching by J. Gillray, 1787. 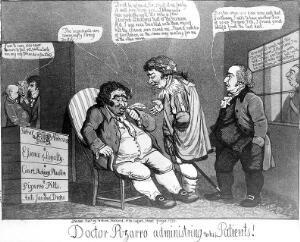 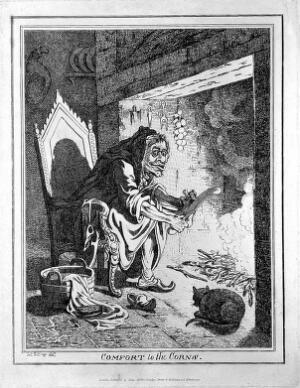 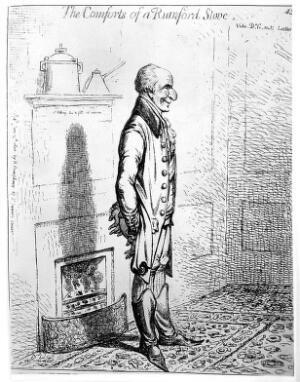 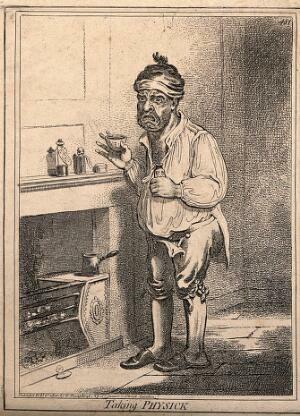 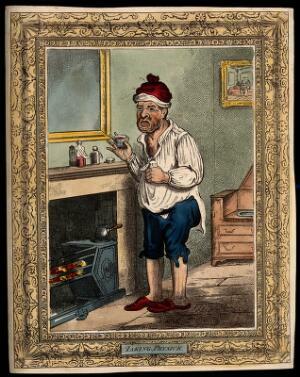 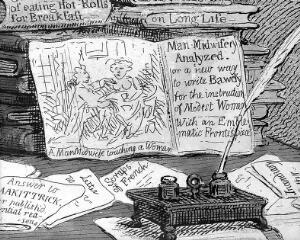 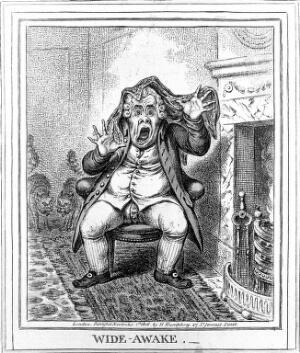 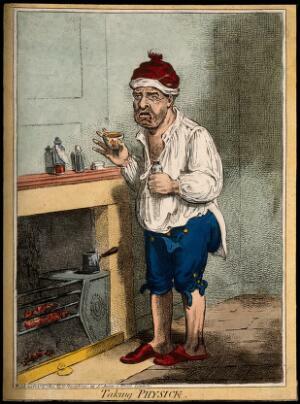 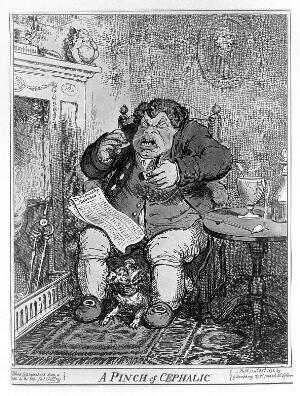 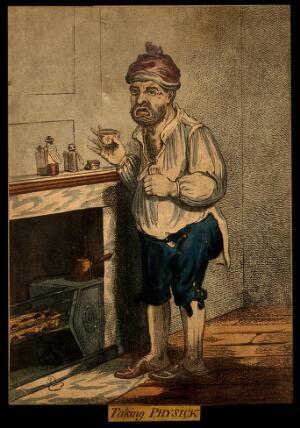 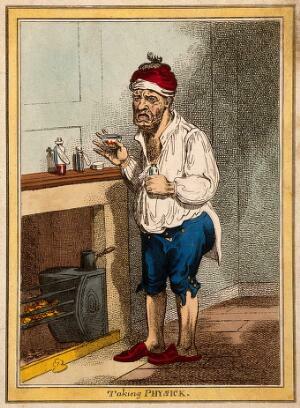 A man standing by a fireplace, pulling a peculiar face after taking some medicine. 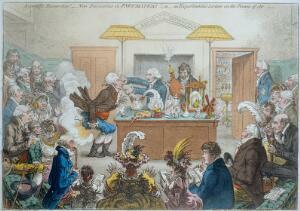 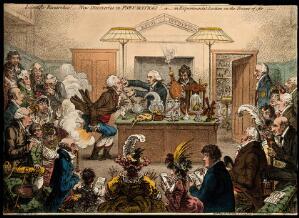 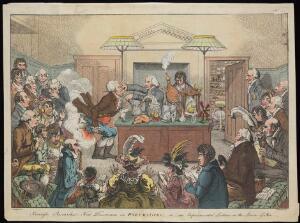 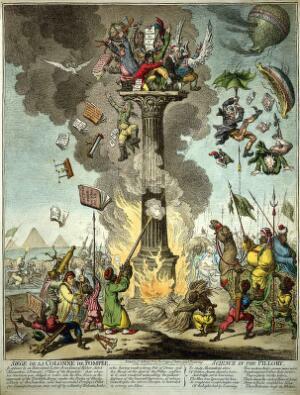 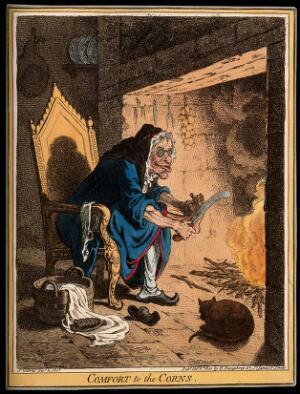 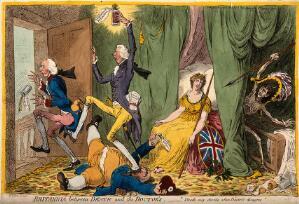 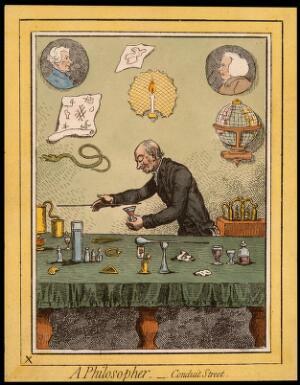 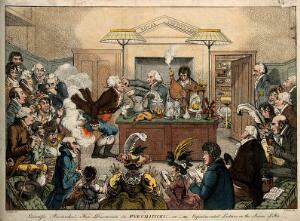 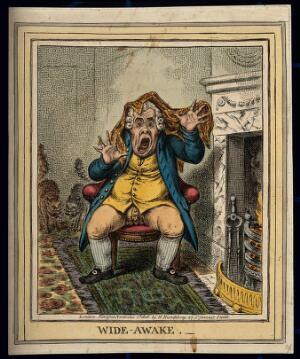 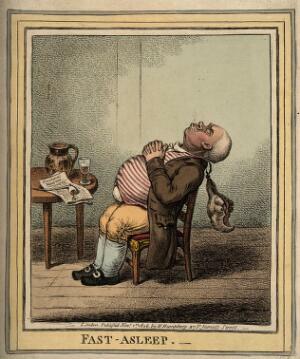 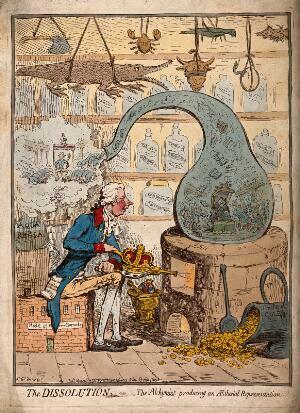 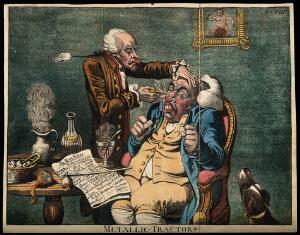 Coloured etching after J. Gillray. 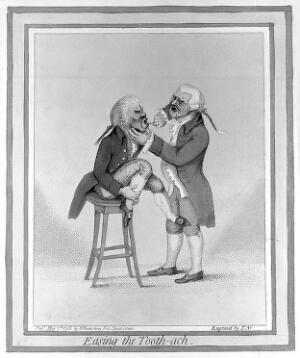 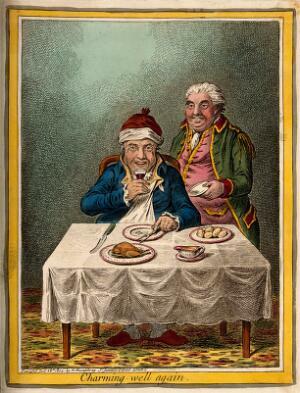 A convalescing man happily eating a meal, assisted by his grinning servant. 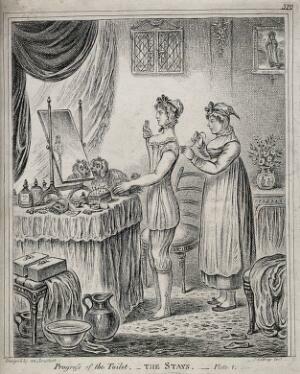 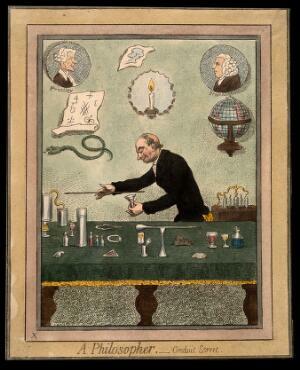 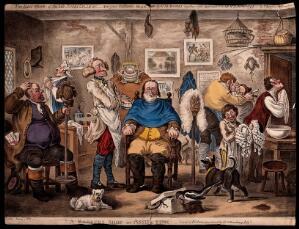 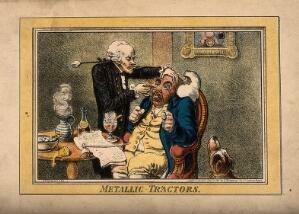 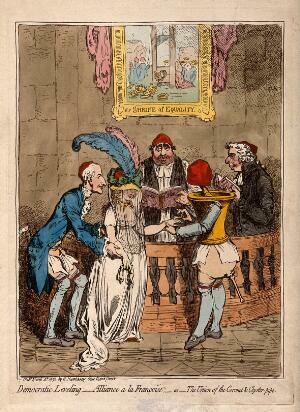 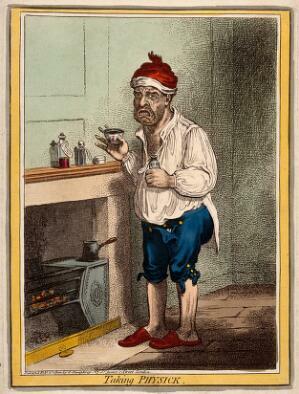 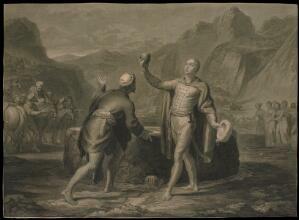 Coloured etching by J. Sneyd, 1804, after J. Gillray.